Featuring a stunning array of marquise-cut gemstones, this beautiful bracelet is crafted with sterling silver and will make an elegant accent to any attire. 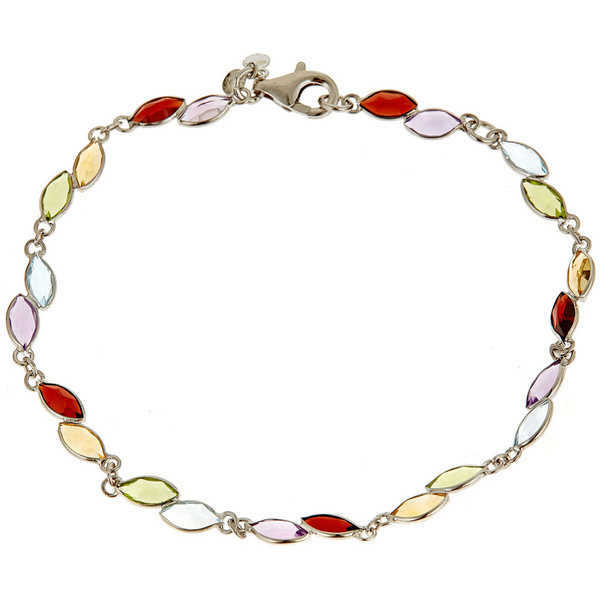 A spring ring clasp and highly polished finish completes this chic bracelet. All carat weights and measurements are approximate and may vary slightly from the listed dimensions. Treatment code N. See Treatment Guide for further information.